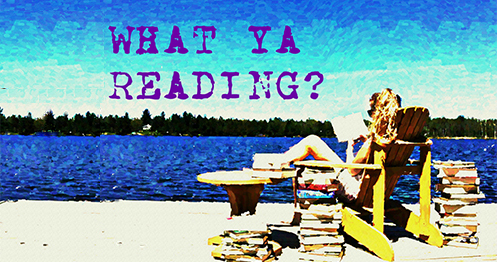 Paper Towns | What YA Reading? Paper is everywhere. From your mindless schoolwork to your petty job to the two-dimensional people and the two-dimensional places that satisfy them, we are living in a paper world. Thin, pliable, and easily stained, paper isn’t all bad. But to people like Margo Roth Speigelman, ‘not all bad’ will not suffice. Commitment to a higher calling abandons paper in search of something more. Margo Roth Spiegelman has found that something more. Quentin Jacobsen, however, has not. John Green’s Paper Towns is about a boy in search of the truth– and in search of a girl who rocked his world and fled shortly thereafter. What is youth? As a teenager, I guess that I should know. But John Green could tell you better than anyone: sweet revenge, breaking high school records and last-minute road trips with only four bathroom breaks. It’s separating your idea of people from the people themselves, wearing absolutely nothing under your graduation robes and accepting your colleagues for who they are. Introspection. Rebellion. Goodbyes. Friendship. I cannot fathom how Green managed to incorporate all of these elements into one novel–and a short one at that–but I don’t care. It rang true, effortlessly mirroring typical teenage banter and infinitely impacting readers in a way that they will remember for the rest of their lives, or at the very least the rest of their teenage years. It is one thing to write philosophy, and it is another thing entirely to write for young adults. Green managed both while exploring the very essence of growing up. Although I must say that Paper Towns‘ metaphysical soliloquies changed my life (or the way I view it, anyway), my favourite part the novel was honestly the nerdy characters. Any teenage girl will solemnly tell you that badass guys are fantastic, but on behalf of all self-proclaimed nerds I can attest to real-life dorks being one step above them all. Nothing beats nerdy boys swapping witty– and geeky– comments and casually quoting T.S. Eliot in everyday conversation. Don’t believe me? Just see for yourself. “Did you just use Greek mythology to talk trash?” I asked. Expertly, Green’s characters also possess a commendable reality/relatability factor. Regardless of some of them being unwittingly held up on pedals before being stripped to the core, I was able to grow with them throughout the novel. A wonderful supporting cast pulls through once again in the most unlikely ways, and I daresay that I was wowed. 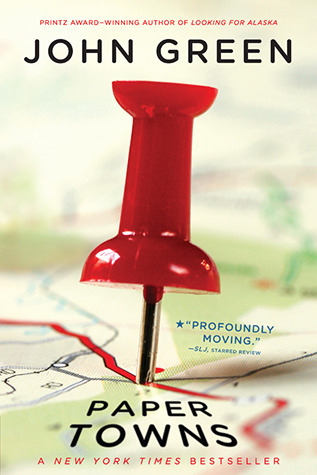 Perhaps it’s the quirkiness of Paper Towns that makes it an overall likable novel. (Awkward teenage boy narrators, their geeky friends, and the frequent use of the term ‘honneybunny’ tend to make for a quirky book.) Characteristic of John Green, this kooky style is a favourite of mine: ironic life truths spoken parallel to chuckle-inducing one-liners never fail to charm. If Paper Towns began with a bang (and it did), it ended with fireworks. And not the gorgeous, awe-inspiring, typical fireworks that everyone and their dog love to admire, but the whimsical and understated fireworks that no one dares to showcase. This resolution was bittersweet: no hope, no love, no glory, no happy ending. Just truth. I loved it. This novel is for you if you like nerdy jokes, old-school mysteries, references to old music and even older poetry and prose, and awkward romances between celestial beauties and socially clumsy beasts. I can safely say that John Green will be on my auto-buy list for a long time to come. 4.6/5 stars.